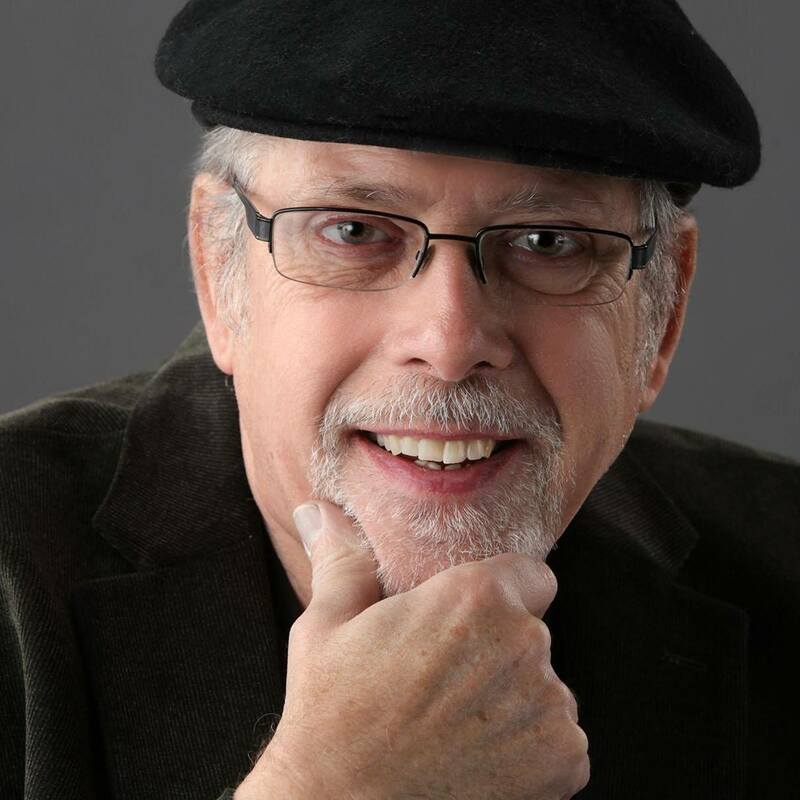 Rich began his photographic career in 1970 and has since gained a nationwide reputation for his outstanding creative photography.He attended Winona School of Professional Photography prior to joining McIntosh Studios of Norfolk Va. in 1973. Later he returned to his hometown of Logansport to work in his father's photographic studio. Rich has also studied privately with many of the country's leading photographers. Rich has been awarded the Master of Photography and Photographic Craftsman degrees from the Professional Photographers of America for superior photographic competence and technique in exhibit competition, and for his contribution as a photographic educator. His photographs have received hundreds of local, state, and national awards, including acceptance in the American Society of Photographers Masters Loan Collection, the Fuji, and Kodak Gallery Awards, as well as Indiana State Fair Best of Show numerous times. In 1987, Rich was named International Creative Photographer of the Year and was asked by the Master Photographers Association to present programs in Great Britain and The Netherlands, taught seminars in Australia, Japan, Canada, Mexico, and 44 of the 50 states. In 1988, he was named Photographer of the Year by the Professional Photographers of Indiana, Rich has also been made a Life Member of this organization. Other awards include the PPA National Award, the Gerhard Bakker Memorial Award and four-time Michiana Photographer of the Year. In 1992, he was featured in Kodak's Portraits of Success Video Series and Imaging Asia 2005 in Seoul, South Korea. Rich has presented programs and seminars to many photographic organizations throughout the United States, as well as several programs at the Professional Photographers of America National Convention and the Winona School of Professional Photography. Rich has also instructed at the Triangle Institute, Mid America, and Texas Schools. His photography has appeared on magazines, books, newspapers, and album covers, and is also included in the International Professional Photography Hall of Fame Honors Collection. He has published two books - Rich Voorhees' Idea Book, Volumes I and II, and the Dreams and Visions Video Series. A native of Logansport, while at Logansport High School, Mike distinguished himself in athletics, especially football and track. Upon graduation from Logansport High School, he attended Anderson University where he had an outstanding career in football. While at Anderson, he was nationally ranked in three categories, set ten school records, and was elected Most Valuable Player on the 1968 Hoosier Collegiate Conference Championship Team. He was elected to the Outstanding College Athletes of America as well as being named to Anderson University’s 50thAnniversary All-Time Football Team. Upon graduating from Anderson University, he taught and coached in both Indiana and Illinois. During his career in education, he was a three-time Coach of the Year, an Athletic Director, and was honored by being named a Top Ten New Educator in the State of Illinois. Leaving coaching and education, Mike entered the business world. He worked for Jostens, rising to the position of Divisional Manager responsible for more than $300 million in sales during his 15 year career. Mike went on to become President and Chief Operating Officer for the Domestic and International Executive Training Division of McGraw-Hill. During this time he was elected to the Young Presidents of America, an honor awarded to those who achieve the title of President of a major corporation before the age of 45. Over the past 16 years Mike has been with Balfour, a division of American Achievement Corporation. He recently retired as Vice President of Leadership and School Enrichment. During his business career, he became a certified speaker affiliated with the National Speakers Association, delivering keynote addresses. 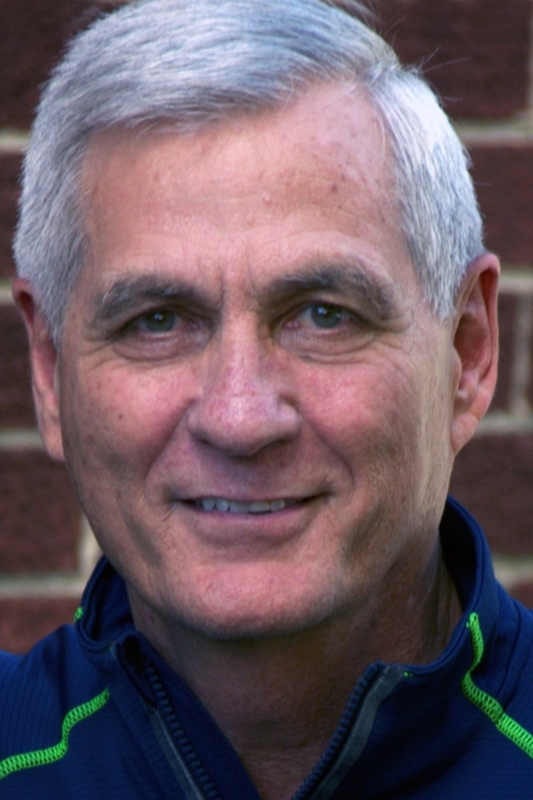 With athletics always near and dear to his heart, Mike coached his daughter’s tennis team to a Junior Olympic Gold Medal as well as an AAU National Championship. In addition, he served as a Bradley University tennis coach. Because of his passion for education, he incorporated many of the same techniques he implemented in the business world to create Pathways, a program that develops and enhances the leadership skills of high school and college students nationwide. As Founder, Creator and President of Pathways, Mike personally presented full day leadership seminars to over 1,000,000 high school and college students representing over 5,000 high schools and colleges over the last 25 years- including at his alma mater. Not only were Mike’s seminars unique in content and highly personally challenging, but they were specifically targeted to the best of each schools leadership talent. “We Make Your Best Better” was the mission of Pathways. Mike’s unique background and presentation style kept student leaders highly engaged. Group projects were incorporated during the day-long events. Faculty, sponsors, coaches and administrators participated and competed side-by-side with students, making Pathways a one-of-a-kind leadership program. It was his honor, this past fall, to be asked to present to the Purdue Football team. Mike is the son of Elmer Wood, and the late Mishia Wood, longtime Berry supporters. He and his wife, LeAnn, live in Lafayette, Indiana. They have one daughter, Kelley, and one grandson, Christian Michael. 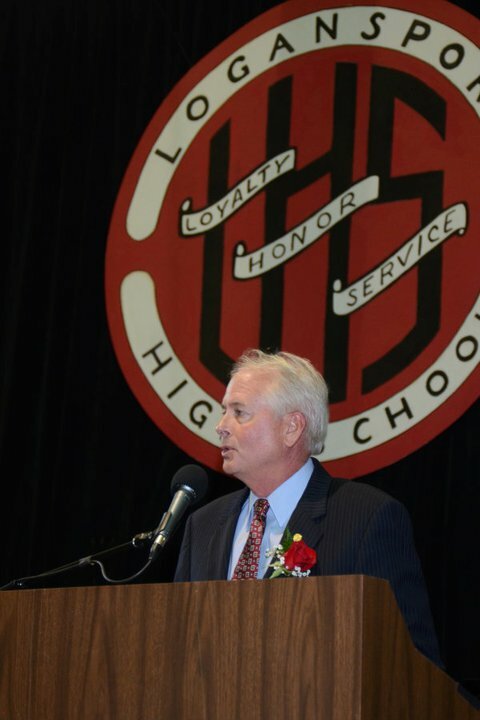 The 2016 Logansport High School Hall of Distinction Inductee is Dr. Bruce R. Baker. 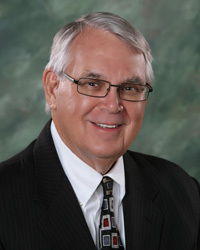 Dr. Baker is a 1961 graduate of Logansport High School. He studied Latin and Greek at Wabash College (he’s a Distinguished Alumnus); Indiana University; and University of Paris. He earned his Master’s degree at Middlebury College. Dr. Baker is widely acknowledged as a brilliant linguist and entrepreneur. He has turned his lifelong fascination with linguistics into a passion for helping individuals with physical disabilities. He is the founder and president of Semantic Compaction Systems in Pittsburgh. Dr. Baker has lectured widely in the Americas, Europe, Asia, Africa, and Australia and is known throughout the world for his dedication and work that has resulted in the development of MINSPEAK®(Minimum Effort Speech), a powerful, linguistic system for Natural Language for people who cannot speak or use hand signs. This voice output language system is in use by more than 100,000 individuals. 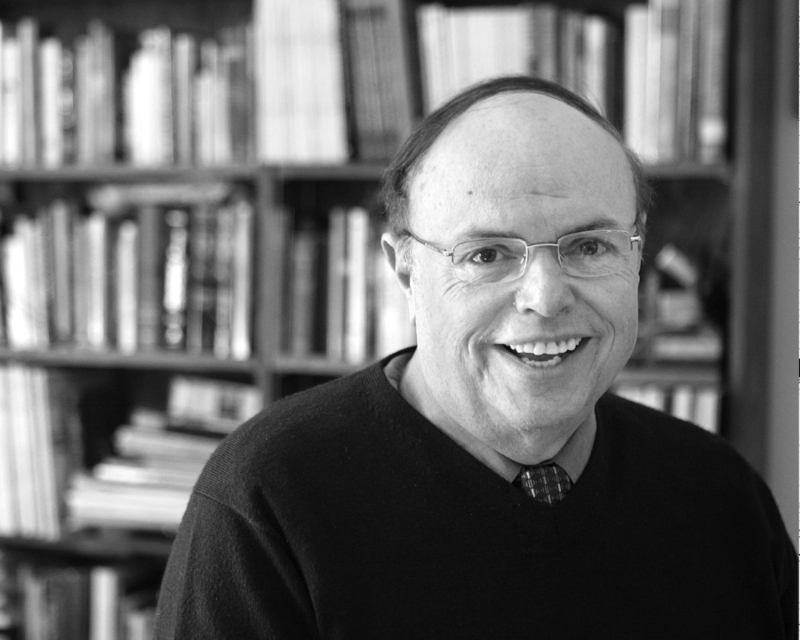 His work has been recognized with awards from many organizations including United Cerebral Palsy in Washington DC, the American Speech-Language Hearing Association (ASHA), the International Society for Augmentative and Alternative Communication (ISAAC), and the Rehabilitation Engineering and Assistive Technology Society of North America (RESNA). Dr. Baker holds many patents for language and command technology throughout the world. A humanitarian, Dr. Baker founded and chairs SHOUT, a non-profit Pennsylvania corporation that studies employment issues for people with significant speech and multiple impairments. He has been an Adjunct Associate Professor for over ten years and chaired the Pittsburgh Employment Conference for Augmented Communicators, committing countless personal and staff hours. Colonel Redmon is a 1980 graduate of Logansport High School. Colonel Redmon began his military career in the Indiana National Guard while a student at LHS. 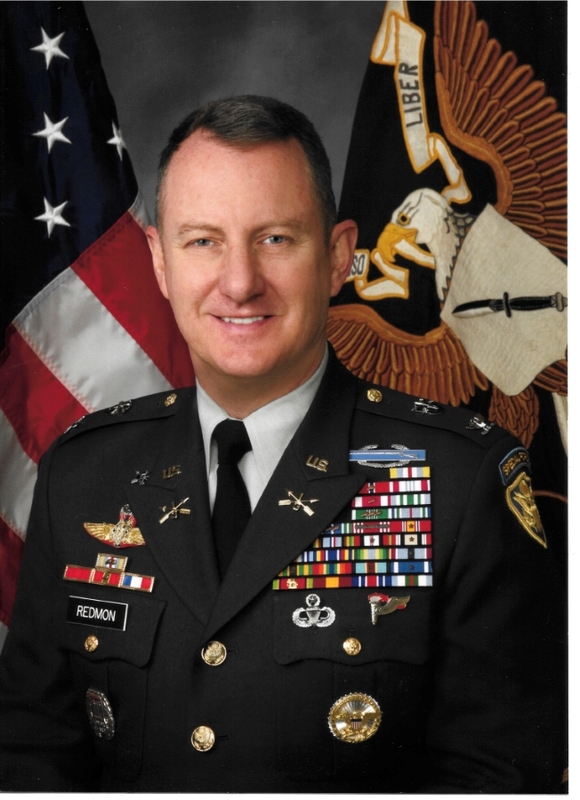 After graduating, Colonel Redmon transitioned to the regular Army and began his career in the Army Special Forces. He has commanded Special Forces units in many overseas assignments and completed four combat tours in Bosnia-Herzegovina, the Philippines, Iraq and Afghanistan. Colonel Redmon served as military advisor to the Royal Thai Armed Forces and was decorated by the King of Thailand. He served alongside Norwegian Special Forces in Afghanistan and received special recognition for combat from the Royal Norwegian government. Colonel Redmon commanded Special Forces units in the Southern Philippines and received a combat decoration for bravery from the Philippine Armed Forces. He also served in Iraq as a counter-terrorism advisor to the Iraqi Special Forces. Colonel Redmon has two U.S. Bronze Stars for combat service and the U.S Department of Defense Superior Service Medal. He has served in some capacity in over a dozen countries and has traveled to over thirty others. Colonel Redmon has obtained a Bachelor’s Degree in History from Cameron University in Lawton, Oklahoma, a Master’s Degree from American Military University, and a Master’s Degree in Strategic Studies from the U.S. Army War College. Colonel Redmon is currently assigned as the U.S. Army Attache at the U.S. Embassy in New Delhi, India. “I am deeply honored and humbled to have been chosen,” Colonel Redmon said of being inducted into the LHS Hall of Distinction. John is a 1960 graduate of Logansport High School. John studied economics at Miami University in Oxford, OH. After graduating, John chose to return to Indiana to study law at Indiana University. From IU Law School, he enlisted in the U.S. Army and served his country as an intelligence officer during the Vietnam War. Despite his travels, John returned to Logansport and began practicing law in 1970. He went on to serve as a Deputy Prosecutor, City Attorney, and has been the acting County Attorney for over 25 years. He has been active on local boards including the United Way, Four County Counseling Center, Woodlawn Center, and Chairman of the Board of Directors for Security Federal Savings Bank. John served as the Attorney for the Logansport Community School Corporation for 25 years. He is the former chairman of the annual United Way campaign. John is the President of the Cass County Bar Association. Ms. Jones is a 1946 graduate of Logansport High School. She went on to attend Arkansas State Teachers College and later earned her master’s degree from the University of Central Arkansas in 1966. Sue Jones was instrumental in establishing and promoting girls’ athletics in Logansport. 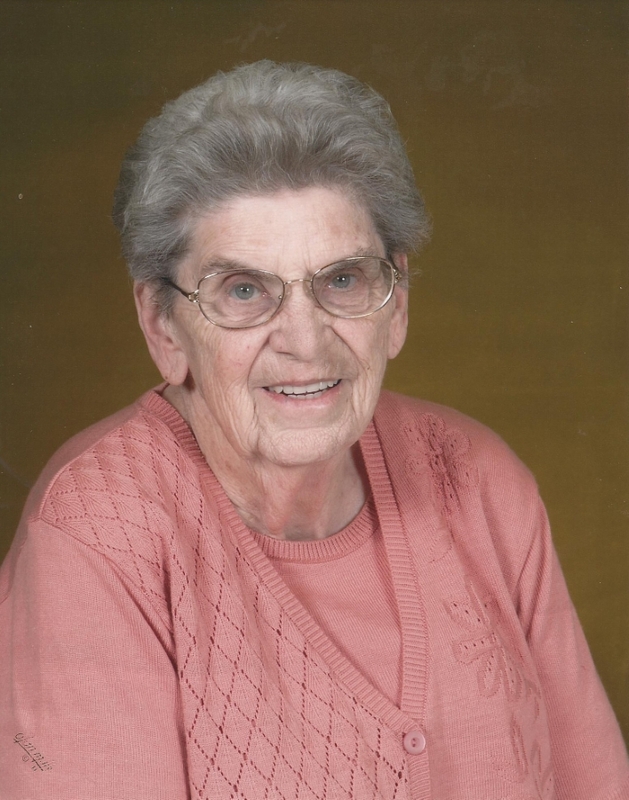 She was one of the first three women selected for membership in the Indiana Softball Hall of Fame, she coached volleyball, basketball, and track in the Logansport schools for 17 years as well as taught in LCSC for 23 years. Two awards are given in her name: The Sue Jones Award is the highest honor any LHS senior female athlete can achieve and the Most Valuable Player Award in Pixie League. She is the author of two books, Rudy and From Fourteen to Fame. The 2012 Logansport High School Hall of Distinction Inductee is Mr. Joseph Huffman. Mr. Huffman is a 1938 graduate of Logansport High School. He went on to attend Capital University in Columbus, Ohio where he earned his Music Education Degree and later completed his advanced degree at Butler University. Mr. Huffman served for four years in the U.S. Army from 1942 to 1946. In 1946, he was discharged on Friday and on the following Monday was hired as Assistant Band Director at LHS. He became high school Choir Director in 1947 building the program from 27 students to over 300. He was Supervisor of Music for the Logansport Community School Corporation from 1972 until his retirement in 1982. Mr. Huffman still attends a great number of Logansport High School athletic and music activities. Mr. Huffman served as President of Little League and Babe Ruth Baseball. He was Director of all Northern Indiana Babe Ruth baseball for ten years. He was on the Performing Arts Council Board for ten years and the Mental Health Board for six years. Mr. Huffman has over 165 former students who are at some level of professional music participation. The 2011 Logansport High School Hall of Distinction Inductee is Ted Bishop. Born on January 20, 1954, Bishop graduated from LHS in 1972. He was awarded the prestigious John Price Award for his six varsity letters in basketball, baseball and tennis as well as his solid academic record. During his high school career, Bishop set the LHS consecutive free throw mark and tossed a no-hitter for the Berries. A 1976 graduate of Purdue University, Bishop earned a BS in Agronomy/Turf Management and was motivated to pursue this course of study after getting a summer job at the Rolling Hills Par 3 Golf Course, located on the eastside of Logansport. Upon graduation from Purdue, Bishop became the Pro of the Phil Harris Golf Course, in Linton for 16 years. It was here that he founded and directed Indiana’s largest celebrity golf tournament in honor of Phil Harris. Bishop’s involvement with the Indiana PGA started in 1989 when he was named to the Section’s Board of directors. In 1992, Bishop developed The Legends of Indiana Golf Course, which now has 45 holes and serves as home to the Indiana Golf Association and the Indiana PGA. He served as President of the Indiana PGA in 1997-98 and in 2000, was named to the PGA’s national membership committee. Bishop served on the PGA Board of Control from 2002-05. He was then appointed as District Six Director in 2006. In 2008, Bishop won a national election for Secretary of the PGA of America. In 2010, he was named Vice President and is in line to become the 38th President of the PGA of America in 2013-14. At Logansport High School, Jim was in National Honor Society, JV and Varsity Golf and was the N.F.L. President. He was the Hi-Y Chaplain and Treasurer, German Club Treasurer and Sergeant-At-Arms as well as serving on student council. He participated in Boys State, “L” Club, Science Club, Band, Swing Band and co-chaired the 1967 Prom. In Jim’s career, his expertise has been in the field of breast disease and he is nationally recognized as one the “Best Doctors in America” for the last 7 straight years. 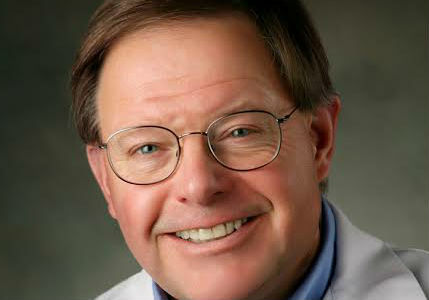 He has authored and co-authored many medical textbooks and journal articles. 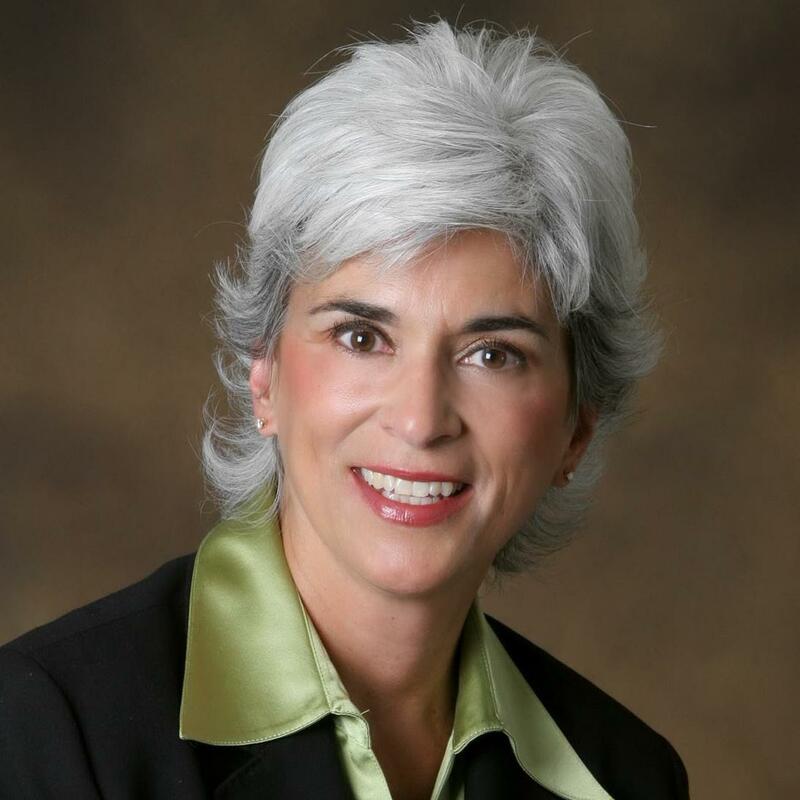 Dr. Hall has served and is serving on many boards, including but not limited to: Board of Trustees, Logansport Memorial Hospital; Chief of Staff, Memorial Hospital and President of the Cass County Medical Society for 5 years. Jim has given tirelessly to organizations, community projects and his church for the improvement of Logansport and its citizens. The 2008 Logansport High School Hall of Distinction Inductee is Med Flory. 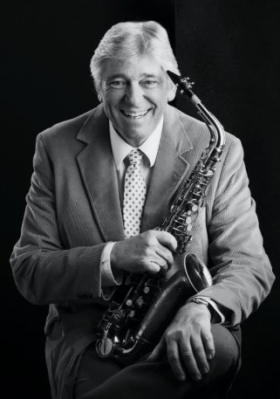 Med Flory, was an alto saxophonist and founder of the Grammy-winning jazz group Supersax in addition to being an actor who appeared on numerous TV series. He began clarinet lessons when he was 9 and joined the LHS concert band when he was 12.